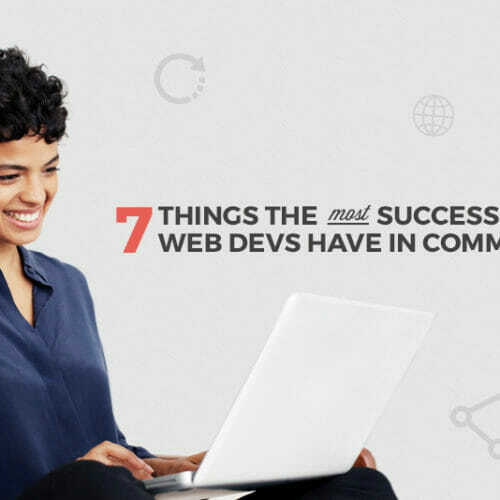 Find out EXACTLY what you need to do to learn web development and land your first full-time dev job. This morning I woke up at 6:30am to the sound of the alarm on my Apple Watch. Twenty minutes and a cup of coffee later I was seated in front of a Chromebook in my living room, joining a Zoom Video Conference for a Skillcrush staff meeting. En route to the conference, I used my iPhone to instant message with my friend (and fellow Skillcrush employee) Chelsea, who directed me to the location of the conference link. A half hour into my day and I’d already interfaced with four tech devices and several apps and websites on each. I’d throw my coffee maker onto that list, but I have a low tech, pour over setup. The point is we live more and more in a world where tech devices and the apps that make them useful are cornerstones in daily life. I just listed the first couple of tech interactions I had when stumbling out of bed on a Tuesday morning. I didn’t even get into what happens once I walk out the door, much less during the rest of the day and week. Accessing cloud documents at work, video conferencing professionally or with friends and family, using Google Maps to get directions on your phone, streaming movies and TV shows, shopping online…all of these visible parts of your digital world are shaped by an invisible language that creates and controls them. But why do YOU need to learn how to code? Through sheer determination (to play King’s Quest III) I taught myself all the commands it took to navigate the primitive machine. I grumbled a bit at first: why wasn’t it like my Nintendo, where I just shoved a cartridge in and it worked? Take this feeling, multiply it by 100, and you get a sense of what it’s like to code. Where my Epson adventures were simply about manipulating a pre-existing set of hardware and software, through coding YOU become able to not only move through websites, software programs, and apps with ease but to improve on them and even create your own! 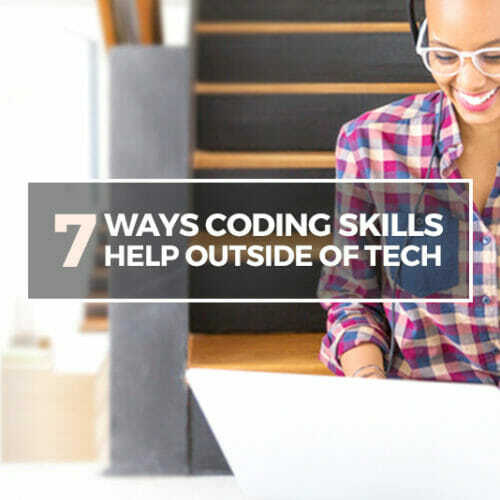 Coding skills will take you from being a passive participant in the digital world to an active player in the field of tech, a move that brings personal and professional enrichment along with it. If coding is behind so many of the fixtures in your daily life, then coding is the ultimate empowerment tool. Not only will it open the doors to a rewarding and flexible career in tech, but it will make you indispensable in that career. Tech is more than just coding, but without code there is no tech. By learning how to code you’ll be equipped to both land the job you love and be at the irreplaceable center of the tech industry. Not convinced? 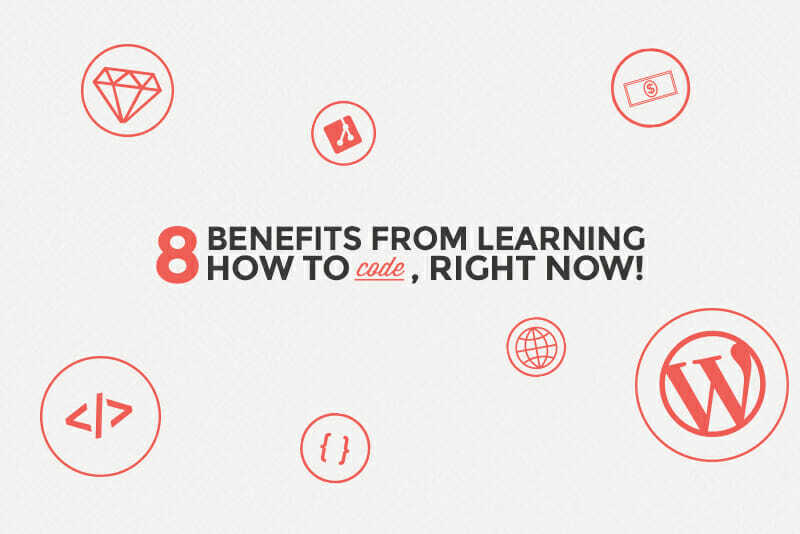 Here are eight immediate benefits from learning how to code, right now! These days the tech industry isn’t just the tech industry. Computers and code are everywhere. Schools, hospitals, government offices—all of these institutions rely on digital infrastructure—and that means job opportunities for the coders that speak their language. Tech is, if anything, a varied and flexible career field, and you never know where it might take you. But you can’t get there if you don’t have the tools. Learning to code will take care of that problem. Then it’s time to sit back and watch the opportunities roll in and unfold. Each of these skills makes you that much more attractive and indispensable to clients and employers. 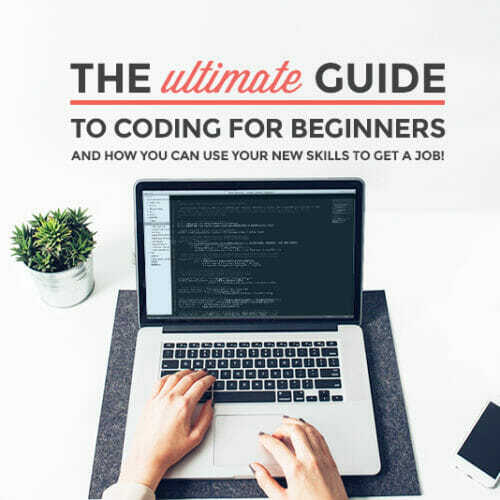 The more skills you have, the more doors will open, and coding is the “skeleton key” you’ll want to have in your back pocket for all of them. According to burning-glass.com, programming jobs are growing 50% faster than the job market overall and 12% faster than the market average. You know then, equipped with these skills, you’ll be ready to take the market by storm and find the job that’s perfect for you. No need to languish in that office or boardroom or whatever other constrictive space you’re totally over. Tech jobs are the future, and not only are they the future, but with perks like the possibility of remote work, flexible schedules, and higher pay (see #4), they’re pretty cool, too. Money isn’t everything. But let’s be honest, who doesn’t want to make more money, right? With 2014 research showing starting positions at some companies clocking in at $88,500 a year and higher-end salaries at companies like Apple and Node.js ranging from $116,000 to $128,000, you can find a job you love and be well compensated for doing it! Again, more money, more schedule flexibility, options to work from home or elsewhere, and a built-in boost of confidence and know-how in the industry that’s currently shaping everything around us. And we’re only four points into eight on this list. Do you REALLY need more? Probably not, but let’s continue anyway. 5. You Can Do It! 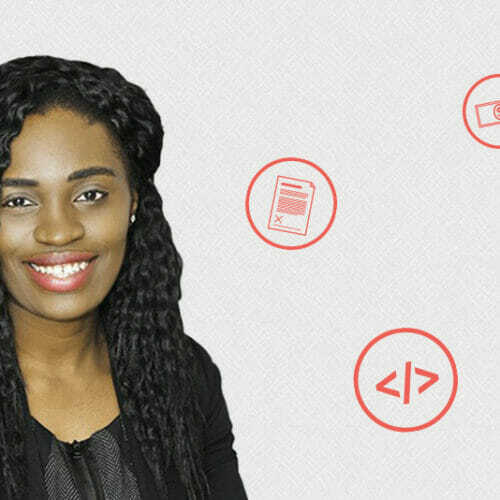 Coding skills allow you to build the websites and applications you need to get jobs done without having to rely on others to do it for you. In a business world where websites and applications are ubiquitous parts of the landscape, your ability to do these things for yourself will increase your productivity, efficiency, and overall professional empowerment. You’ll no longer be hunting and pecking through the WordPress admin dashboard to get the results you want—you’ll be making up your own content in HTML making things look, work, and feel the way YOU want them to. And you won’t be waiting for tech support to help you with your blog, or website, or email templates either, you’ll be in there under the hood yourself, making it happen on YOUR terms. Critical thinking is a key skill for any profession but particularly in the tech field where innovation rules. Coding is the language of critical thought, as you literally use syntax and semantics to “speak” your way through problems and make ideas real. 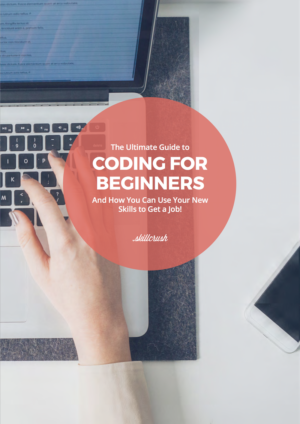 Learning to code will not only bring about the benefits directly related to coding skills, but it will help you hone your critical thinking and take you to a whole new level of problem solving. Any professional job or career that you pursue is going to prize quick thinking and the ability to solve problems in nimble ways. Consider learning to code as an advanced course in critical thought. One that just happens to bring a truckload of concrete skills along with it. As automation continues to proliferate the workforce, many jobs that have traditionally been staffed by human beings are in fact, well…giving way to robots. One thing that’s certain though in the wake of this transition is that human beings will still be needed to program and oversee automated systems. Enter coding. Coding is the language that automates the robot masses and it’s the language that will guarantee your job security in a changing world of work. Kind of seems like a joke, but really, no joke! It can’t be stressed enough what a time of paradigm shift we’re in when it comes to what defines work and jobs. Tech isn’t a passing fad or a momentary blip on the radar. It truly is the new normal of industry. There’s no time like the present to prepare for the future, and coding is your entry point for getting there. My sister-in-law moved to the U.S. from Ukraine nine years ago. She did so being fluent in Russian, Ukrainian, English, and German. Those language skills were key in her going from a brand new citizen of the United States to landing a management job at Apple. Multiplicity of language is so vital to business success in a global world and coding (and the languages contained under that umbrella) is no less a linguistic asset than Mandarin or Spanish. Your ability to “speak” these additional languages will give you a leg up and increase your employability regardless of what field you pursue but particularly so as you pursue a killer career in tech. So there you have it. Eight off-the-cuff benefits from learning how to code. And let’s be real, any single one of them on its own should be enough to get you motivated. Thankfully for you, the wait is over. 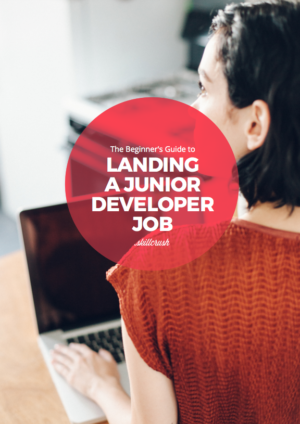 Get your copy of the Beginner’s Guide to Landing a Junior Developer Job and learn exactly what it takes to start coding your way into the future you’ve been waiting for, right now!